Beijing, 14 June 2016, People’s Daily Online – China’s independently developed C919 large passenger jetliner will take its first flight later this year and complete the follow-up technical verifications as early as 2017 before being delivered, Economic Information Daily reports on Tuesday. The success of the maiden flight indicates that the domestically produced large passenger aircraft C919 has achieved substantive results, which will not only further promote the rapid development of the country’s large aircraft industry but also accelerate large domestic aircraft industry clusters to take shape. C919, the first China-developed large passenger jetliner, rolled off the assembly line on November 2, 2015 and the test aircraft has completed system debugging and the installation of instrumentation equipment. After the first flight, system tests such as the avionics, flight control and hydraulic checks will be carried out, as well as integrated tests regarding the airborne systems and static tests of the entire aircraft. If the first flight and the follow-up work go smoothly, the C919 will complete technical validations and be delivered as soon as 2017. China attaches great importance to the aviation industry, represented by large jets and will introduce a number of industry promotion policies. A blueprint on the strategic emerging industries during the 13th Five-year Plan will be issued in the second half of this year. It will focus on the development of medium and short-haul transport aircrafts with 130-200 seats, single channel and high subsonic and long-range transport aircrafts with 250-350 seats and dual channels. In addition, advanced turbofan regional aircrafts, turboprop aircrafts, 70-seat turboprop regional aircrafts, as well as unmanned aerial vehicles will also become the focus of development in the next five years. AircraftEngine Corp of China, the 12th military industrial group of the country incorporated in Beijing on May 31, has been described as having a special mission. Up until now, Commercial Aircraft Corporation of China (Comac), the manufacturer of the C919 jetliners, have received a total of 517 orders from 21 customers. It is predicted that by 2030, global demand for 160-seat and single-aisle jetliner will reach about 14,500, among which China is expected to need around 2,650. 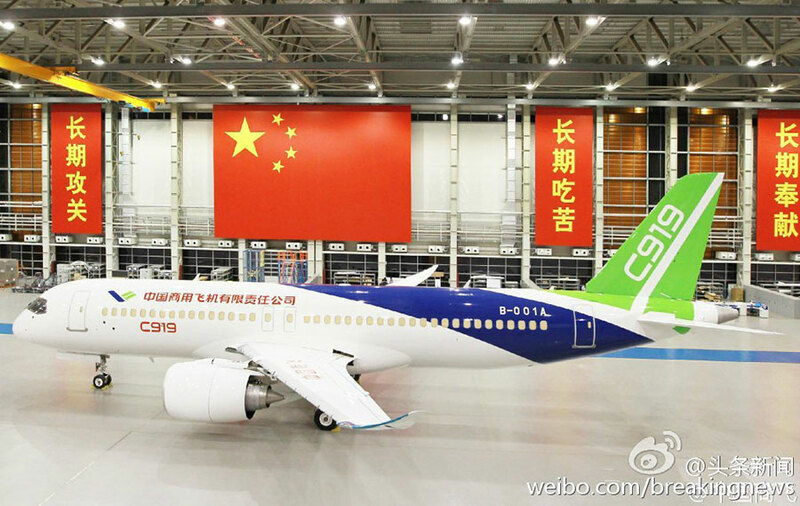 The Comac says it will sell at least 2,000 C919s and if the price is 50 million US dollars per aircraft, the market size of the C919 will exceed 100 billion U.S. dollars (about 650 billion yuan). More importantly, with the production and delivery of the C919, the relevant upstream and downstream aviation industry will get rapid development and will accelerate the shape-taking of industrial clusters with a market size on the scale of one trillion dollars.